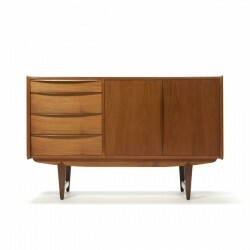 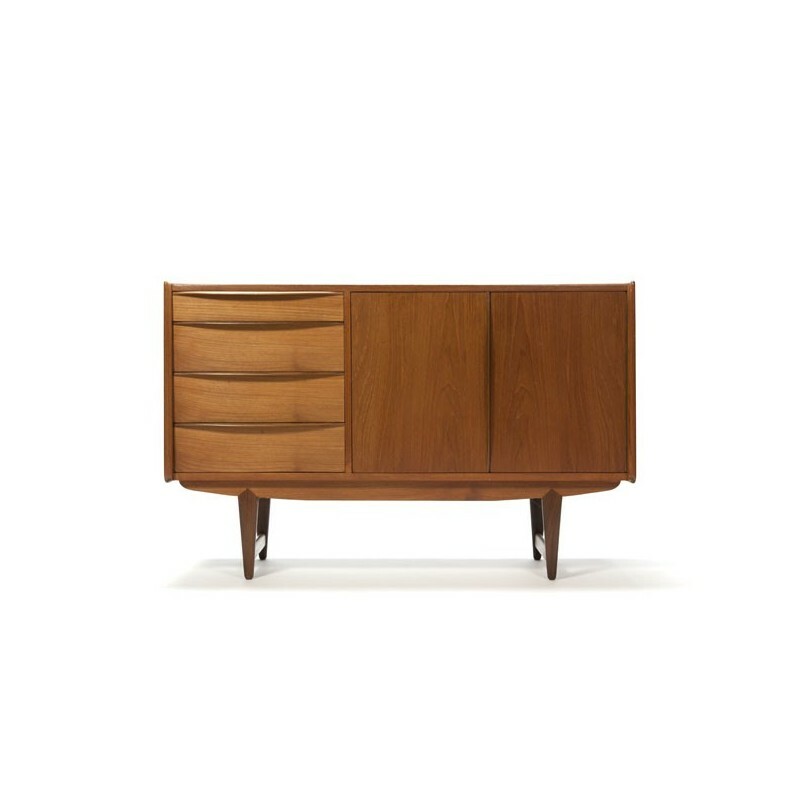 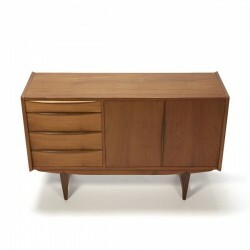 Vintage sideboard, small model, made of teak with beautiful details. 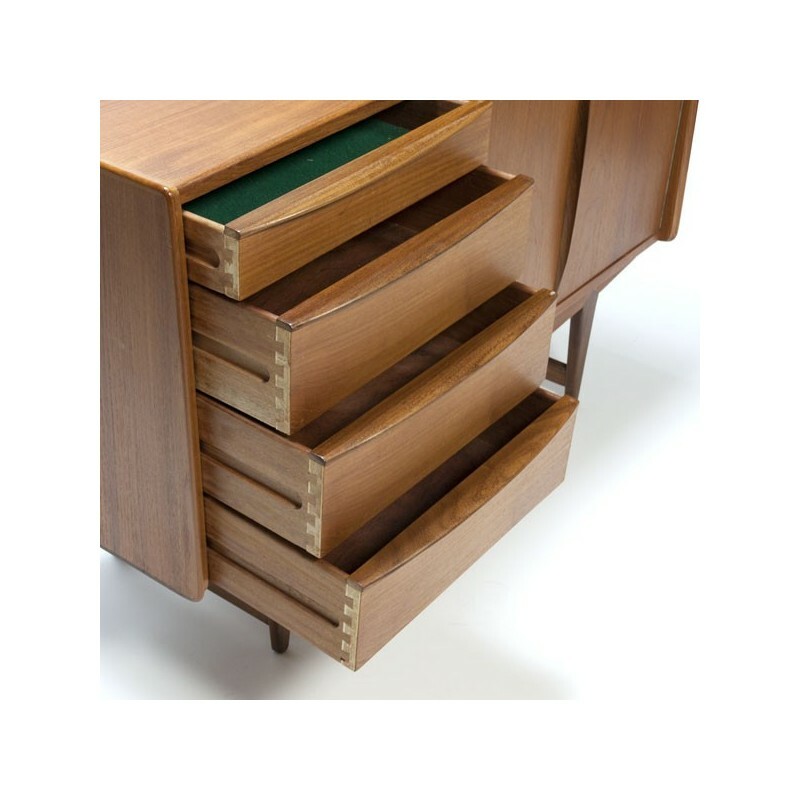 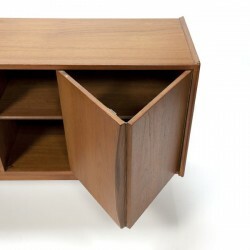 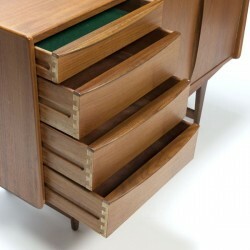 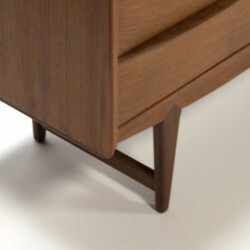 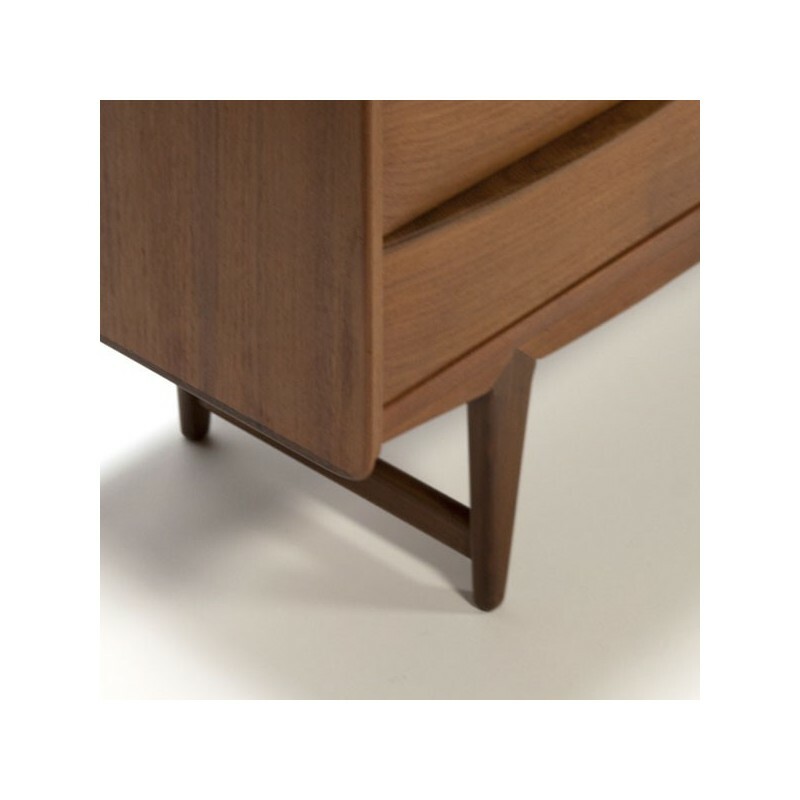 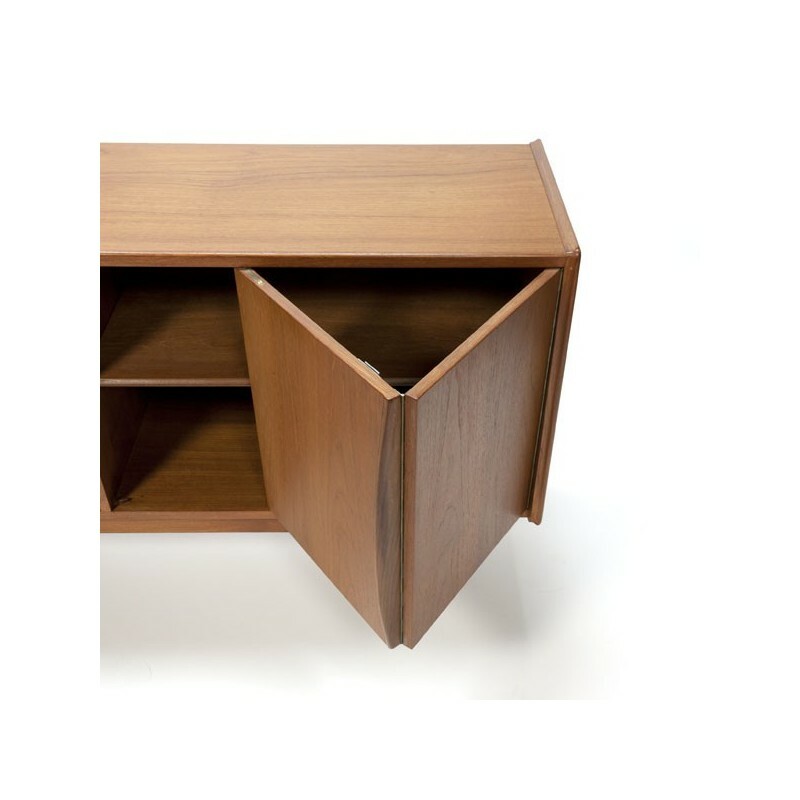 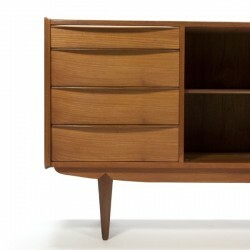 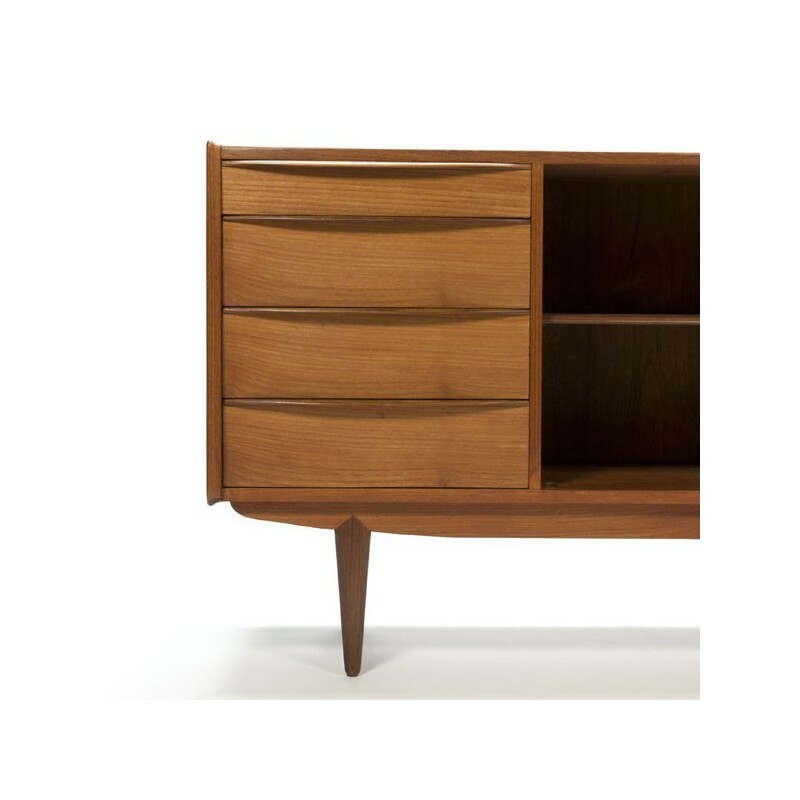 See for example the base, and the organically shaped handles on the drawers. 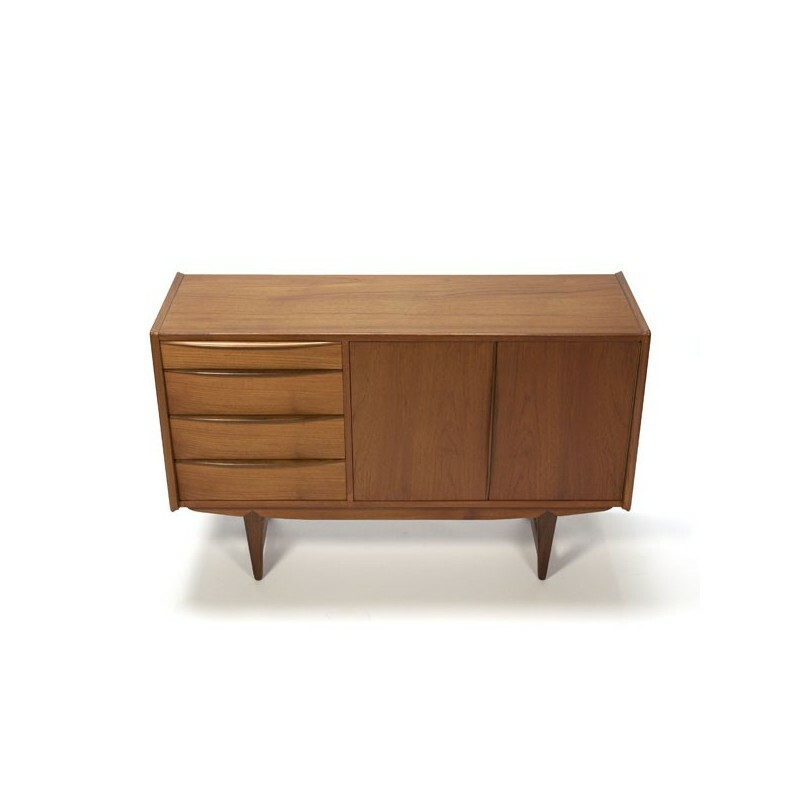 The condition is very good considering the age, see the detailed pictures. 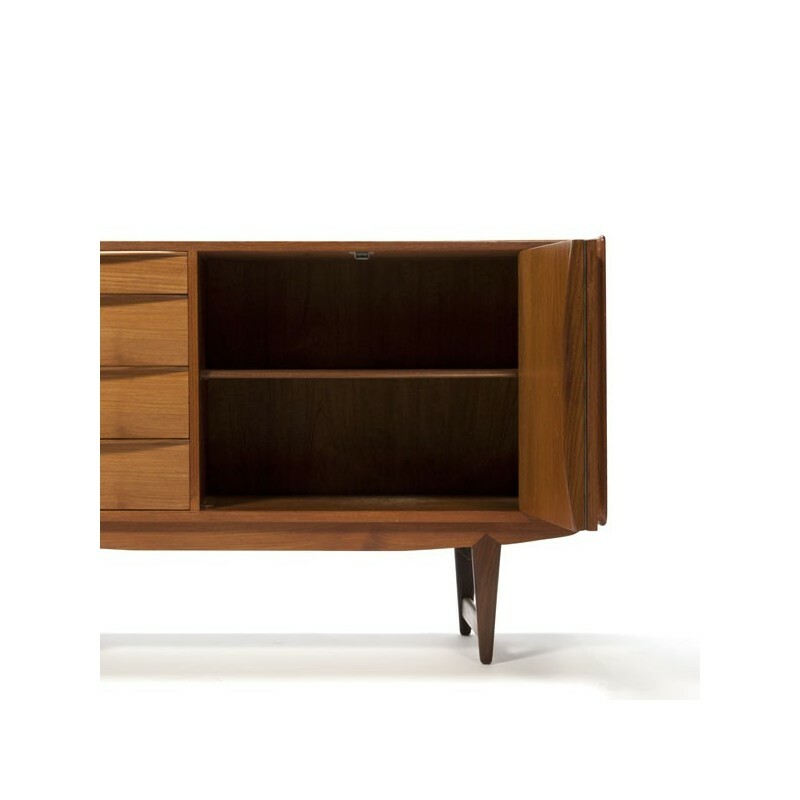 The size is 120 cm L / 40 cm W / 77 cm H.